HT Series… Fastest Quick-Change Tool Adapter System On The Market! 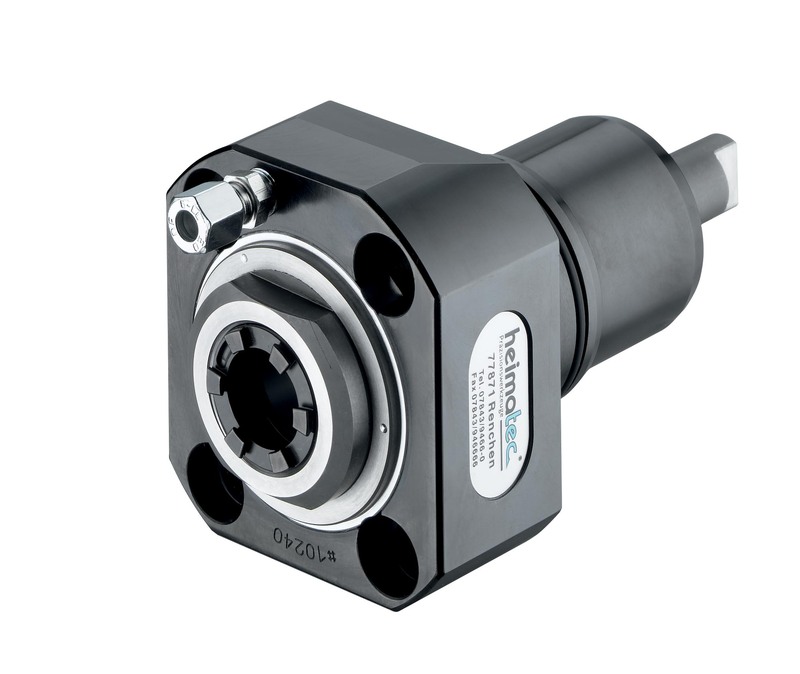 HT Series quick-change tool adapter system from Heimatec requires only a single clamping bolt turn for changeover. Click the image to view the animation. 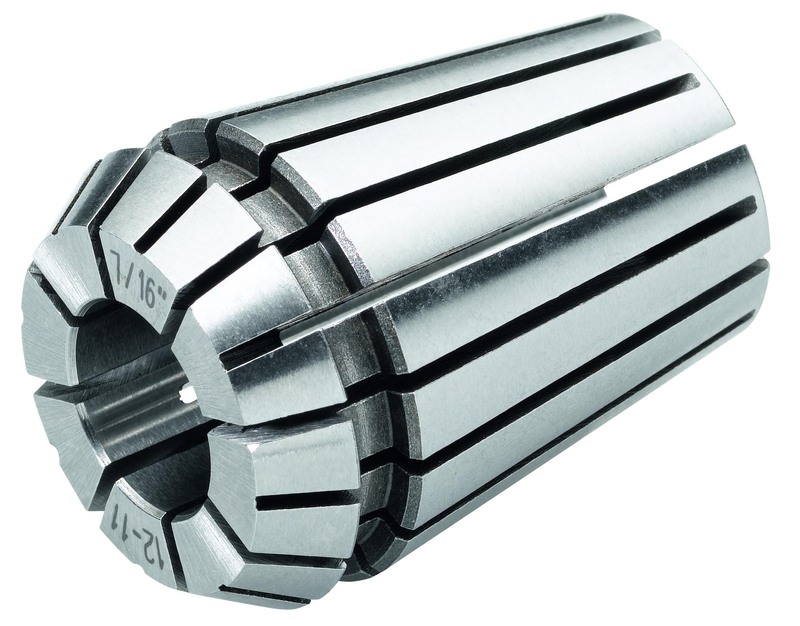 Heimatec, a world leader in live tools, angle heads and multi-spindle drill heads, announces immediate availability of its newest development, the HT Series quick-change tool adapter system. With the HT Series onboard, users do not need to change tooling, only the adapter and that action is accomplished with a single clamping bolt. 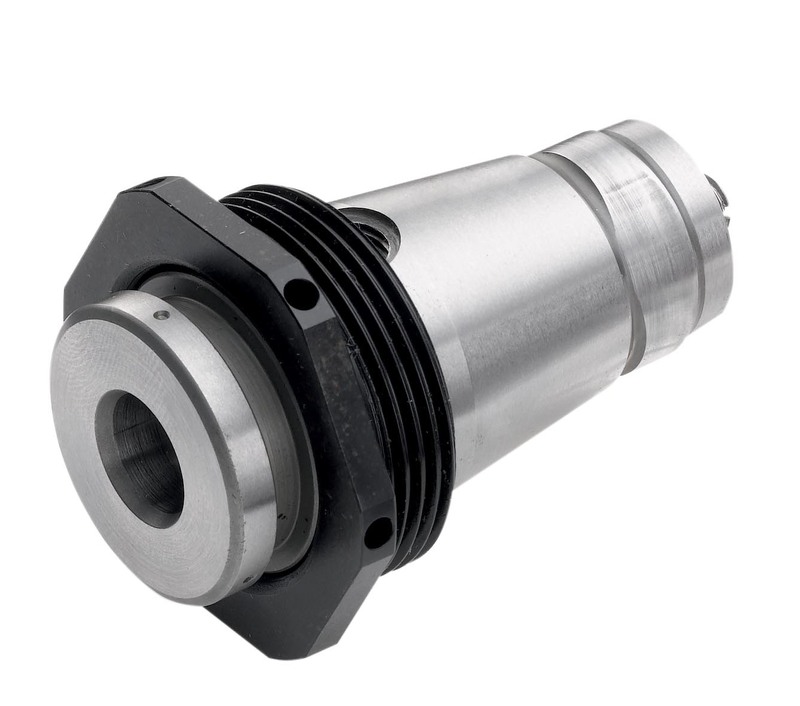 In this way, collet assemblies can be preset outside the machine tool, then simply swapped out as needed. Whether a one-off job shop or long run production department, downtime on any machine tool is costly and the HT Series reduces changeover from an average of 15-20 minutes down to about that many seconds. The tool head stays in the machine, so less probing is needed after the changeover, as well. HT Series offers users a lower initial investment, minimized tooling time, reductions of tooling quantities and related costs, plus considerably lower inventories. Further savings are realized by the high degree of flexibility in the system, the shortest gauge line of any system on the market, meaning no additional tool length consumed, standard coolant-through design, exceptional repeatability to 0.0002” and easier handling of the components, resulting in lower setup costs. 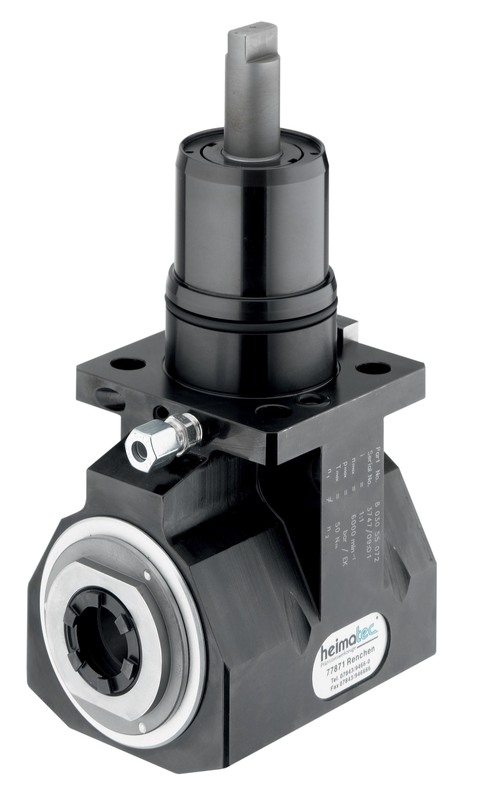 This new quick-change system is available from Heimatec with all common outputs, including collet, extended collet, collet with tension and expansion for tapping, weld-on, weld-on extended, arbor, hydro-chuck, indexable insert holder, shrink fit and blank/plug design. At this year’s IMTS, Heimatec will display its live tooling in a unique way…a live demo on a rotating machine tool turret. Come and see the show! Heimatec, a world leader in live tools, angle heads and multi-spindle drill heads, today announced immediate availability of its newest development, recently unveiled for IMTS. U-tec is the company’s patented flexible tool adapter system that allows a standard ER output live tool to accept various adapters for different applications. 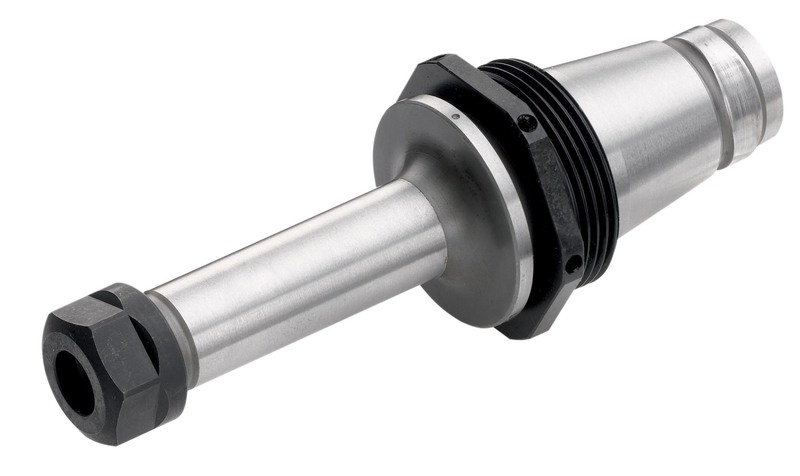 This allows users the ability to have quick changeover of tools on almost any lathe, using a single live tool, without having to commit to a quick-change system on the initial purchase. 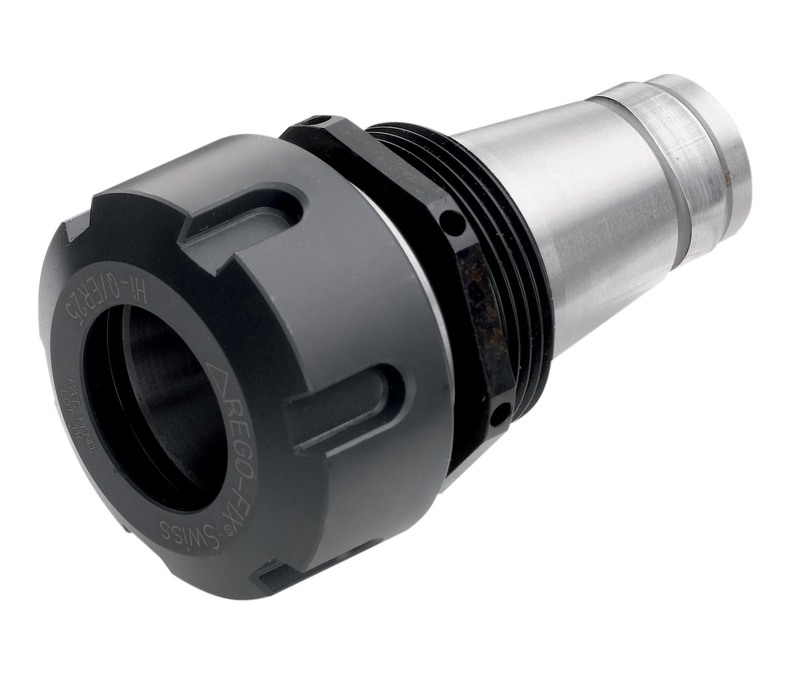 A facemill adapter, for example, can be quickly positioned into the standard holder, without the need for a completely new base being installed. This significantly reduces inventory costs as well as changeover time, for the busy shop. He went on to explain the unique collet nuts on the U-tec system have internal threading for rigid mounting and that this new tool adapter system enables the actual cutting tool to be brought into closer proximity to the bearing, thus further improving performance in use. This benefit results from the short and compact tool length design. Internal coolant up to 2000 psi(140 bar) is provided standard. 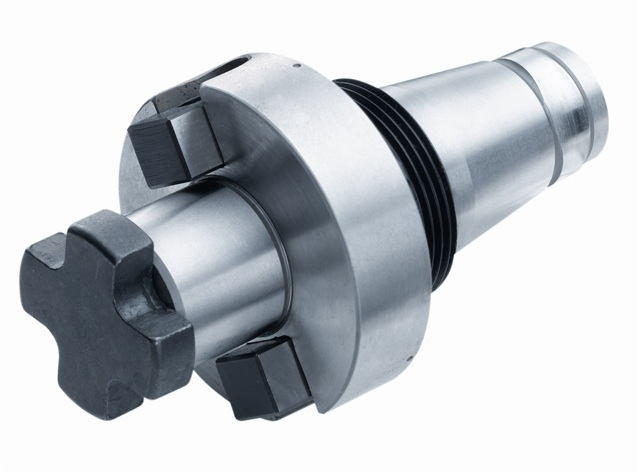 Every adapter in the U-tec system comes complete with any necessary clamping nuts and adapters are immediately available in face mill style, ER extensions, side lock, shrink fit, hydraulic and blank. The U-tec system is available for all major turning machines on the market today. Heimatec currently manufactures over 10,000 live tool types. Heimatec, Inc., the North American operation for a world leader in live tools, angle heads and multi-spindle drill heads, today announces it has relocated to substantially larger headquarters near Chicago. 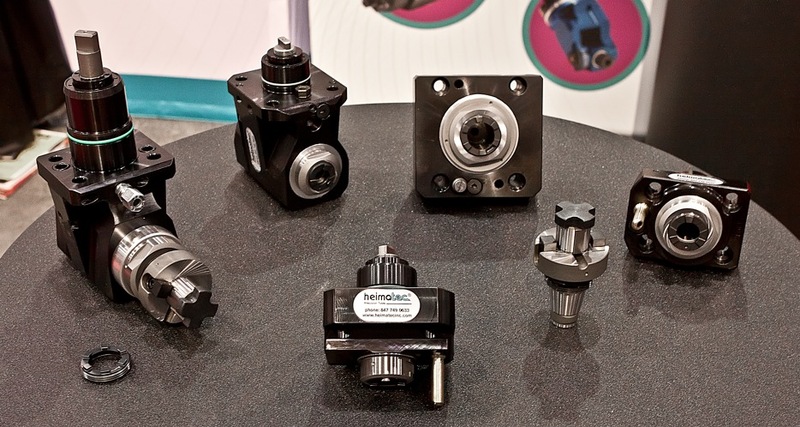 Heimatec will display a complete line of high-quality live tools for all major turning machine brands, as well as angle heads for milling applications, during the upcoming IMTS 2012 in Chicago. The company will feature its unique HT quick-change system and patented u-tec flexible machining system. According to company president Preben Hansen, “We made this move to increase our inventory and our staff to better serve the growing ranks of our customers, both end users and distributors alike.” The new location is in Prospect Heights, Illinois, previously home to Heimatec. It represents a 50% increase in the office and warehouse capacity for this growing supplier to the North American machine tool market. Hansen anticipates hiring new staff for the facility soon. In related news, Heimatec has introduced complete lines of tooling, each designed for specific brands of machine tools, including the major builders of turning machines used in the North American market, such as Haas, Okuma, Mazak, Spinner, Miyano, Nakamura and others. This full-specification literature by machine brand is immediately available from the company in print and online pdf versions. Interested parties should contact the company. Heimatec also offers its new corporate capability brochure, in which all lines are presented. Penn State Erie receives $3.7 million gift in software from SIGMA Plastic Services, Inc.
Schaumburg, IL. 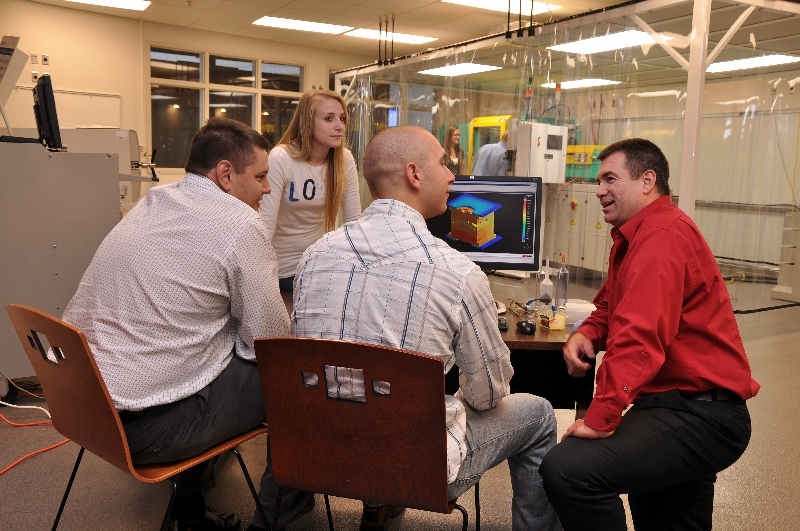 — SIGMA Plastic Services Inc. has donated SIGMASOFT® polymer process simulation software to Penn State Erie’s School of Engineering at Penn State Erie, The Behrend College, a gift valued at $3.7 million. With this software, the campus has new technical capabilities for its soon-to-open Medical Plastics Center of Excellence and current Medical Plastics certificate program, two initiatives that address the emerging medical plastics market. The U.S. market for medical plastics is growing at a rate of 5 percent to 10 percent annually and sales are projected to reach $6.55 billion in 2012.”Thanks to SIGMA Plastic Services, our students and faculty members will be able to develop the next generation of medical devices. This is a great partnership between academia and industry that ultimately benefits our students,” said Ralph Ford, director of the School of Engineering. The $3.7 million gift supports Penn State Behrend’s goal of raising $32 million during the University’s current capital campaign, For the Future: The Campaign for Penn State Students. To date, the college has secured 81 percent of that goal. Penn State Behrend’s Medical Plastics Center of Excellence is an applied research and outreach center that supports companies in the development of new medical devices and packaging, technologies that could not exist without advanced plastics materials. SIGMASOFT® software, designed for the molding of advanced elastomer, silicone and thermoplastic materials, supports these technologies. Students enrolled in the Plastics Engineering Technology bachelor’s degree program can pursue the Medical Plastics certificate. The 14-credit certificate program prepares graduates for careers in medical product development with courses in advanced materials, new product design, manufacturing, and FDA regulatory issues. Nationwide, this is the only medical plastics certificate or degree program offered at the undergraduate level. James Chiamardas, a Penn State Erie plastics alumnus and Erie native, played a key role in securing the gift. Chiamardas earned his associate and bachelor’s degrees in Plastics Engineering Technology. He is president of TPStek, LLC, a SIGMASOFT® reseller. TPStek will provide technical support for the software, which is included in the value of the gift. SIGMA Plastics Services is in Schaumburg, IL. Located outside of Chicago, SIGMA Plastics Services Inc. is part of SIGMA Engineering GmbH, headquartered in Aachen, Germany. SIGMA provides 3D Polymer System Simulation software and engineering solutions to companies throughout the world. During the upcoming GIFA 2011 show in Dusseldorf, Germany, Magma will present its new software generation for casting process simulation, MAGMA5. At the 300 sq. m stand 12A16, the company will demonstrate how casting process simulation with MAGMA5 can be used for optimization at all stages of casting manufacturing to contribute to foundry profitability. MAGMA will show the newest version MAGMA5 5.2 with extended capabilities for all cast materials and processes, introduce its new software MAGMA C+M for the simulation of the core production processes and provide a view into the future of autonomous optimization of casting processes. Additionally, MAGMA is participating in the initiative “ecoMetals” from the Messe Düsseldorf, which supports companies who develop innovative products and processes leading to a more efficient use of energy. MAGMA will demonstrate, using practical examples, how the application of casting process simulation considerably increases a foundry’s energy and resource efficiency. Autonomous optimization of casting processes and layouts, shown here for gating optimization in die casting, is the future of casting processsimulation. MAGMA5 5.2 introduces several new simulation capabilities: new process modes for permanent mold, low pressure sand and low pressure die casting, as well both hot-chamber and cold-chamber die casting, allow for detailed process-specific definitions. The software also supports process design by controlling process parameters during a simulation run. For gravity casters, process modules for DISAMATIC and investment casting are now available. The stress module MAGMAstress for the first time offers casters the option to calculate thermally induced casting stresses in permanent molds for all manufacturing steps, including heat treatment and finishing, in order to predict casting crack problems and distortion. The simulated distortion results can be evaluated just as on a coordinate measuring machine and compared directly with real measurements. 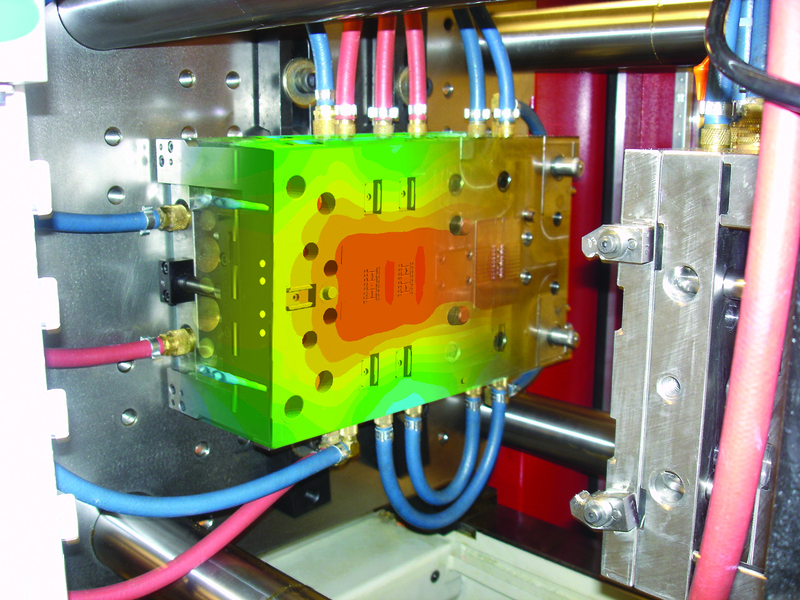 For the first time, the new module MAGMAdielife facilitates the evaluation of the effects of tooling design and thermal stresses on the durability of permanent molds. as core production with tempered core boxes are supported. MAGMA C+M considers all aspects of core production starting from the core shooter, in order to calculate the flow of the air-sand mixture based on the real shot parameters. An integrated database provides the ability to specify the characteristics of the sand and the binder system as well as core box vents and blow tubes. The program simulates gassing, purging and the curing reaction of gas-hardened cores. The design and control of core box tempering for heat-cured cores (hotbox, croning, inorganic) is effectively supported by modeling of heating cartridges and oil channels. For inorganic cores, MAGMA C+M calculates the drying of the core in the heated core box as well as due to transport of water vapor by hot air during gassing. MAGMA C+M takes advantage of all the functionality of MAGMA5 and is available as an add-on module to MAGMA5 or asa stand-alone product. With autonomous optimization, foundrymen can make use of simulation in order to pursue their objectives for quality and cost. Autonomous optimization makes proposals for the right casting layout or the optimum process parameters. The virtual test foundry in the computer enables variation of parameters and systematic examination of influencing variables leading up to the optimum configuration. Based on the fundamental physics embedded in MAGMA5, the program finds the best possible dimensions and positions of ingates, as well as the location of feeders and chills including their optimum size. Using industrial examples, MAGMA will present state-of-the-art capabilities and provide a view into the future of optimization. At the accompanying WFO Technical Forum, MAGMA will give presentations on the topics of aluminum casting, core production, and optimization. At the NewCast exhibition, which takes place in parallel with GIFA, simulation specialists will discuss the prediction of residual stresses and distortion in cast iron components. During the last 10 years, the use of casting process simulation has become a valuable business asset for many foundries. 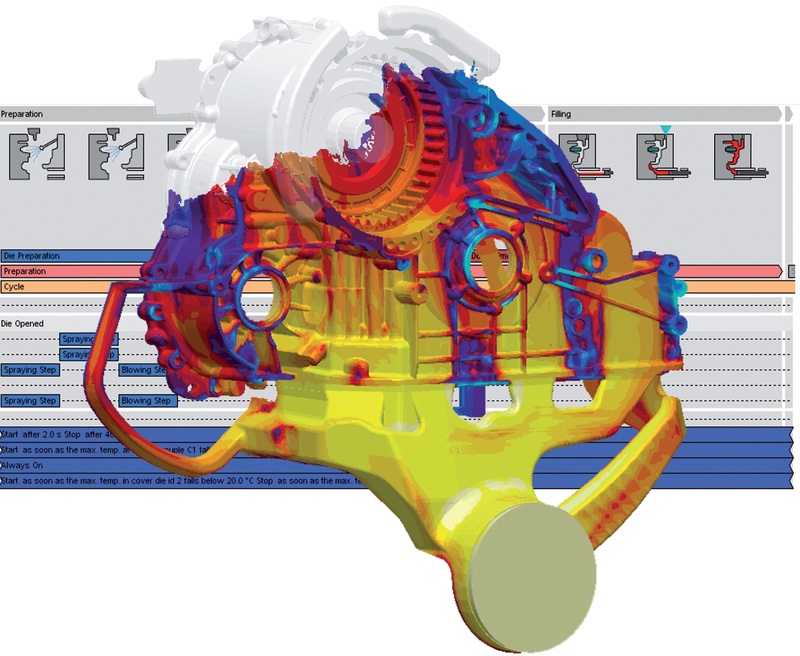 MAGMA5 now expands the capabilities of casting process simulation and will further accelerate the acceptance of this technology.